WASHINGTON — President Donald Trump could have the opportunity to replace five of the seven board members at the Federal Reserve — including Chair Janet Yellen and Vice Chairman Stanley Fischer. Yellen's four-year term at the top post ends in February. Last month, Fischer announced he was resigning effective Oct. 13. Two spots were never filled and have been empty for the past three years when the the GOP-controlled Senate refused to move President Barack Obama’s nominees forward. The third spot became vacant when Daniel Tarullo resigned in April. 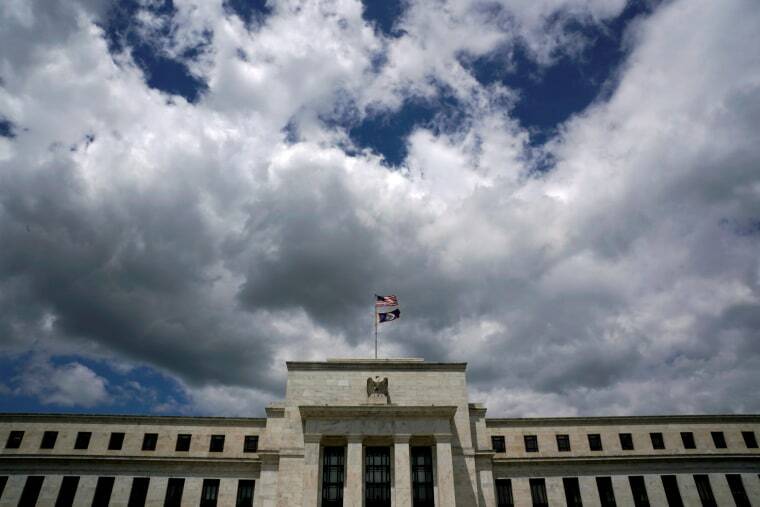 "It would be the largest change in Fed leadership since at least 1951," said Joseph Gagnon, a senior fellow at The Peterson Institute for International Economics and a former associate director at the Federal Reserve. On Wednesday, Yellen announced the Federal Reserve will wind down the recessionary period $4.5 trillion rescue program, but not take any action on interest rates. Economic policy experts say such moves increase the stakes on who will ultimately serve at the agency. "I would not be surprised if President Trump nominates people with business backgrounds, rather than academic economists," said Evan Kraft, a resident economist at American University and a former adviser to the Croatian National Bank. Trump is not the first president to be faced with filling so many Federal Reserve board positions. President Barack Obama appointed four board members in four years. Presidents also traditionally renominate the chairmen as well. Obama kept on Ben Bernanke. President Bill Clinton kept Alan Greenspan. And President Ronald Reagan kept on Paul Volcker. The nomination of Randal Quarles for one of the five open spots hints at the direction the Trump administration will likely take, economic experts say. Quarles, a former Bush Treasury Department undersecretary and a current hedge fund manager at The Cynosure Group, has said he wants to scale back regulations such as Dodd-Frank's sweeping financial regulatory reforms. For months, the man at the center of speculation to take over as chairman was Gary Cohn, director of the National Economic Council and former president of Goldman Sachs. Cohn also notably broke with Trump over the president's response when he suggested "many sides" were to blame for the deadly violence at a white nationalist rally in downtown Charlottesville, Virginia last month. The “administration can and must do better in consistently and unequivocally condemning these [hate] groups,” Cohn said in an interview with the Financial Times. Cohn has built valuable ties on the Hill during his push for tax reform, economists say, but he may have rankled some within the administration when he chided Trump's Charlottesville comments. Still, "I think the votes to get Cohn through the Senate are there. The majority wants someone who is less focused on regulation," said Josh Bivens, director of research at the Economic Policy Institute. The administration may also consider re-nominating Yellen for another four years. As a presidential candidate, Trump repeatedly derided Yellen as politically motivated in his public appearances. Last week, Treasury Secretary Steven Mnuchin during a press conference in New York said that Yellen is "quite talented," and was being considered along with, "a lot of great people." Some experts believe that a Yellen reappointment is contingent on market conditions. "Reappointing Mrs. Yellen would be very reassuring to financial markets, so the likelihood of her reappointment might grow if there were some new episode of macroeconomic or financial instability,” Evans said. Experts say there is ample time between now and February for Trump to change his mind. “If markets remain quiet, it is anybody's guess,” said Paul Kupiec, a resident scholar at the American Enterprise Institute. Hugh Daly is a desk assistant at NBC News. He was a contributor for PoliticsPA, a fellow for Chris Van Hollen's senate campaign, and interned in the office of Sen. Ben Casey and the Office of the United States Trade Representative. He graduated from Bucknell University.